If cataracts cloud your vision, intraocular lenses (IOLs) implanted at our Bakersfield practice can restore your eyesight and improve your quality of life. If you also have other visual impairments, including astigmatism, nearsightedness, or farsightedness, IOLs can restore your ability to work, read, watch movies, and drive with little or no dependence on visual aids. In addition to using precise femtosecond equipment for laser cataract surgery, we offer a selection of advanced IOLs. Your ophthalmologist will discuss your treatment plan and explain replacement lens options during an appointment at our practice. Contact our office today to schedule a consultation. An IOL is an artificial replacement for your eye's natural lens. IOLs are usually made of acrylic or silicone. They are most often used to replace a lens that has been affected by cataracts, but can sometimes be implanted to correct myopia, or nearsightedness. In addition to resolving cataracts, premium IOLs address problems with astigmatism, a defect that prevents the eye from properly focusing, and hyperopia, or farsightedness. At Southwest Eye Care and Laser, we prefer AcrySof® and TECNIS® brand multifocal IOLs. Both replacement lenses are acrylic and come in designs proven to improve eye function and last for years. AcrySof® and TECNIS® lenses are optimized to function during all times of day. With the use of femtosecond lasers, we can create a smooth, secure, exact circular capsulotomy, the incision into the ocular capsule that contains the lens. This will allow the ophthalmologist to place an IOL on an even surface, which ultimately reduces the potential for glare and halo effect. Using limbal relaxing incisions (which reshape the border of the cornea and the white of the eye), in combination with IOLs, allows us to treat a full spectrum of refraction errors. 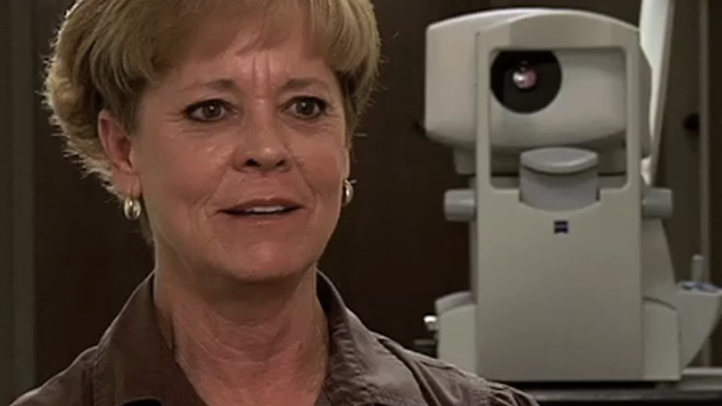 We can treat a wide variety of vision impairments to suit every patient's unique needs. Each person's needs are different, so the cost of your IOL will depend on the severity of your cataracts and any other eye conditions you need to address. Our team can help you understand the cost of your IOL and create a treatment plan that fits your budget. Schedule a consultation with us today to learn more about cataract surgery and determine which IOL is right for you.